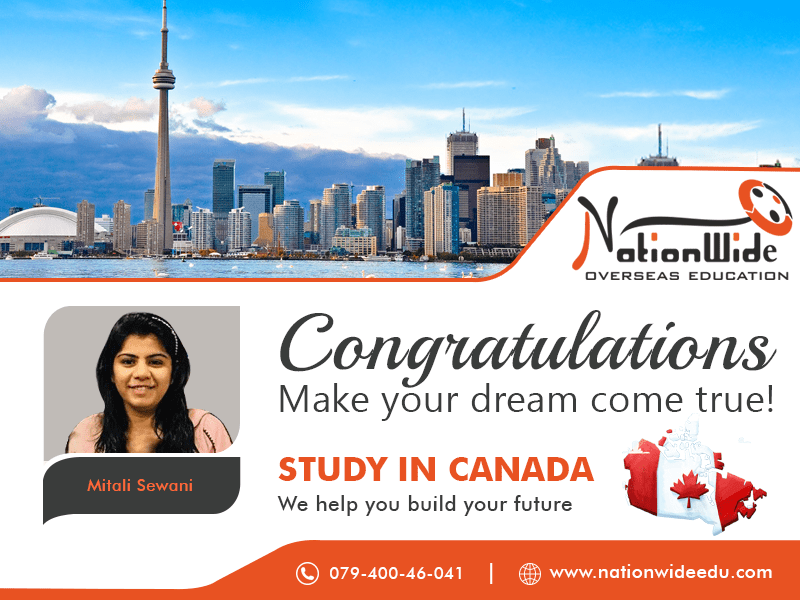 Nationwide congratulate to Mitali Sewani for her successful Canada student visa approval. She will pursue course of Global business Management at the Georgian College Ontario, Canada. Our student Mitali informed us about her dream to study in Canada and we helped her to make her dream come true. We send our best wishes to her and wish for many more successes in her life.